A special thank you to our Advisory Group for working with Forté to plan this Pilot Conference. 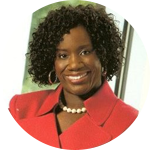 Shari Hubert is associate dean of admissions at Duke University’s Fuqua School of Business, where she is responsible for overseeing recruitment and admissions for their Daytime MBA, Weekend Executive MBA, Global Executive MBA, and Specialty Masters’ Degree Programs. 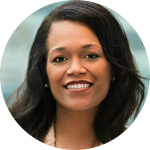 Prior to Fuqua, she was in charge of admissions for the Full-time and Evening MBA programs at Georgetown University’s McDonough School of Business. Hubert has extensive experience in the private, public, and nonprofit sectors, and entered higher education after working for the Peace Corps as director of recruitment within the Office of Volunteer Recruitment and Selection. In this capacity, she was responsible for the strategy to attract and recruit over 4,000 volunteers annually and managed the operations of nine regional recruitment offices across the United States. Prior to joining the Peace Corps, Hubert was the senior vice president of campus recruitment for Citi’s Global Bank in North America and was responsible for overseeing the recruitment of analysts and associates into the corporate and investment banks as part of Citi’s Markets and Banking Division. She also worked for GE in their corporate headquarters, where she served as manager, campus relations in corporate recruiting and staffing. In this role, she was responsible for the overall recruiting efforts and budget allocation across the southeast region of GE’s strategic university relationships. She began her career with GE in one of their divisions at the time, NBC Universal, as the director of community programs. Hubert also ran an executive leadership and civic development program named in honor of David Rockefeller at the Partnership for New York City, a business advocacy association focused on public and private partnerships. Immediately after receiving an MBA from Harvard Business School in 2000, Hubert was a consultant for The Boston Consulting Group. 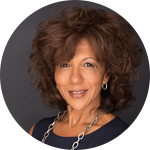 Finally, she began her career in sales and marketing at Merck and Co., Inc., after graduating with a bachelor's degree in French from Dartmouth College in 1992. Debra Langford is the Assistant Dean of Diversity and Inclusion for the USC Marshall School of Business. Prior to joining USC is 2013, Langford was the Corporate VP of Inclusion and Business Diversity, for NBC Universal and the Corporate VP, Strategic Sourcing for Time Warner. Debra spent over 15 years as a senior content creative executive, with roles including Head of Television for Quincy Jones/David Salzman Television, VP of Warner Bros. Television and General Manager of Essence Entertainment. 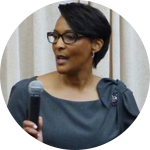 In 2017, Governor Edmund G, Brown appointed Debra to the California Film Commission. In 2011, President Barack Obama appointed Debra to the USO Board of Governors, as his third Presidential appointee. Debra holds a Bachelor of Science degree from USC. Dr. Kanika Magee is the Assistant Dean of Student Affairs and Director of the Executive Leadership Honors Program at the Howard University School of Business, Washington, DC. She oversees student services in the School of Business, including the 21CAP retention and resilience program for incoming students, study exchange programs, recruitment and admissions, and the Honors program. Dr. Magee also teaches a course she developed for undergraduate students: Leadership, Power & Spirituality in Management. This course explores dimensions of leadership and personal belief alongside organizational culture, diversity management, and company identity. She is the former Associate Dean of the Andrew Rankin Memorial Chapel at Howard University and continues to coordinate campus interfaith education and programming. Dr. Magee has a Bachelor of Business Administration and Master of Divinity from Howard University, a Master of Business Administration from Georgetown University and she has completed post-graduate studies in Organizational Behavior at The George Washington University and in Old Testament Literature at the Baltimore Hebrew University. Dr. Magee earned a Ph.D. in Spirituality at the Catholic University of America. A native of New Orleans, Louisiana, Dr. Magee has provided independent consulting services to universities and non-profits throughout the nation, securing over $40 million for faith-based and community programs. She is the former Director of Youth Leadership Development for the Children’s Defense Fund national office through which she launched service and advocacy initiatives on university campuses across the country. Dr. Magee has also led youth conferences annually attracting over 1,000 youth from across the nation, cross-country college tours, grief initiatives for children and youth and entrepreneurship initiatives through her work in the AME Church. 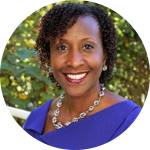 Dr. Magee’s efforts have been recognized through her acceptance into the Cambridge Professional Listing of Non-Profit Professionals and Leadership Greater Washington class of 2008. She is a Board Member for the National Association of College and University Chaplains, Micro-Enterprise Council of Maryland and Community Builders Ltd. Dr. Magee is a proud member of Zeta Phi Beta Sorority, Inc. and the NAACP. As Executive Director of Community and Inclusion, Colleen McMullen leads a comprehensive effort to develop diversity, equity, and inclusion strategies for the Tepper School of Business at Carnegie Mellon University. As a member of the school's leadership team, Colleen works with her colleagues in the areas of outreach and recruiting of prospective students, faculty, and staff, climate and culture issues of the Tepper School community and its stakeholders. During her 20 year tenure at The Tepper School, Colleen has served in roles with both MBA Admissions and Career Services where her dedication to diversity combined with her commitment to student achievement and professionalism has fostered a welcoming and inclusive environment for students at Carnegie Mellon. 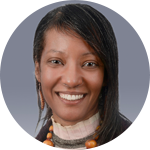 Colleen currently serves on the Board of Trustees for the Consortium for Graduate Study in Management (CGSM) and previously served a 2-year term as vice chair and a member of the Board of Directors for the Forte Foundation. At Carnegie Mellon, she has served on several university-wide councils and committees including the President's Diversity Advisory Council, Andy Awards selection committee, and CMU Graduate Student Service Award committee. Colleen began her career in higher education at West Virginia University (WVU), her alma mater, where she served 10 years in various positions including Student Program Advisor, Programs and Publications Coordinator, and Manager of Community and University Services for the Center for Black Culture and Research. Prior to joining Carnegie Mellon in 1998, she served as a Student Services Specialist and Academic Advisor at the University of Pittsburgh, College of Business Administration. In 2014, Colleen was appointed by WVU President, Gordon Gee to the inaugural WVU Diversity Visiting Committee to advise and provide feedback to the Vice President of Diversity, Equity, and Inclusion in the design and implementation of strategies to advance diversity at WVU. Sharon Strange Lewis is the Director of Alumni Relations at Howard University. Where she is responsible for the strategic planning, creation and overall management of the university's alumni programs. Prior to joining Howard, she was the senior director of Women and Diversity Programs for the Robert H. Smith School of Business while at Maryland she provided strategic direction for diversity initiatives, gender equality and women’s empowerment. She holds an Executive MBA from Robert H. Smith School of Business and an undergraduate degree in Broadcast Journalism from Howard University. Additionally, Strange Lewis participates in several community activities as a member of Alpha Kappa Alpha Sorority, Incorporated. Cynthia graduated from the J.L. Kellogg Graduate School of Management with an MBA in Organization Behavior and Operations. She also has a Bachelor of Industrial Engineering from Georgia Institute of Technology and a Bachelor of Science from Spelman College. Cynthia is married and the mother of four children. Cynthia currently sits on the Board of Directors for the Forté Foundation.